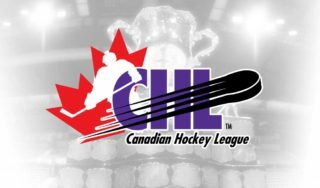 The Golden Puck Awards, presented annually by the Quebec Major Junior Hockey League, were held this evening at the elegant Hyatt-Regency Hotel located in the heart of Montreal. This year, twelve prestigious trophies were awarded to the most deserving personalities of the 2012-13 season. Four junior hockey legends were also inducted into the QMJHL Hockey Hall of Fame, presented by RDS. Hosted by TVA Sports’ Louis Jean and Maxim Martin, the evening was a huge success. The Terrebonne native played in 42 games of which he won 27. Moreover, he registered four shutouts and maintained a 0.913 save percentage and a league-best 2.14 goals-against-average. Zykov captured the RDS Cup thanks to his remarkable performances during his rookie year. He is highly touted by many as being a strong prospect for the next NHL Entry Draft. Ducharme brought his team to the forefront of the general standings with an impressive total of 120 points. He led his team masterfully, getting the most out of each of his players. He was instrumental in making the Mooseheads one of the best junior teams in the country. The PEI Rocket forward scored 39 goals and added 71 assists for a total of 110 points in 68 games. He also maintained a +/- differential of +17. Beaudoin is a determined young man both on and off the ice. After completing high school, he took humanities/administration courses with the firm intention to finish his CEGEP in only two years. In order to accomplish this, Charles-David took distance-learning courses and summer classes on top of his regular course work. Abeltshauser was involved in his community from the beginning of his junior career; however he outdid himself this year. His great work and dedication earned him the prestigious award. 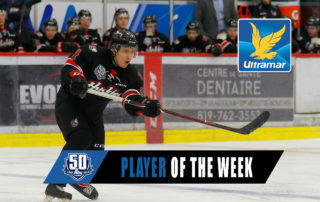 The Edmundston native defenseman scored 17 goals and added 54 assists for an impressive total of 71 points in 62 games. Gagné also posted a +/- differential of +11. Kevin Gagné just signed his first professional contract with the Anaheim Ducks. For a second consecutive season, Zach O’Brien wins the Frank-J.-Selke trophy. With a total of 92 points, including 47 goals, O’Brien is an impact player for the Titan, but what set him apart for this honour was the lack of penalties he gathered during his career. He got his first and only penalty this season. 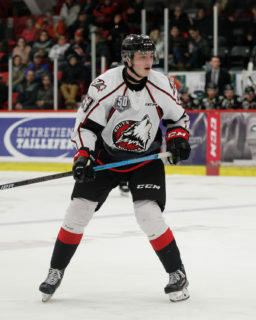 Jonathan Drouin is one of the greatest prospects of the QMJHL for the next NHL Entry Draft. 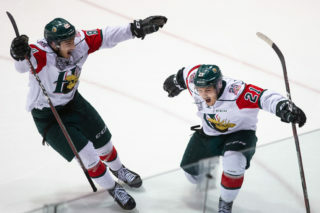 With an incredible career high of 105 points, including 41 goals and 64 assists in only 49 games, he led the Mooseheads to the top spot in the League standings. He also maintained a +/- differential of +49. Philippe Boucher was awarded the General Manager of the year for his excellent work with the Oceanic. He was able to present a young and highly competitive team despite numerous injuries to key players. 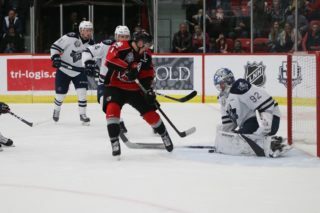 Drouin showed leadership and was a great ambassador for the QMJHL all through the season. He was able to positively showcase the Mooseheads organisation as well as the Quebec Major Junior Hockey League. He performed at a high level during the World Junior Championships in Ufa and the Subway Super Serie against the Russian prospects. On top of getting the Michael Bossy and Paul Dumont trophies, Jonathan Drouin was also named the most valuable player for the 2012-13 season.